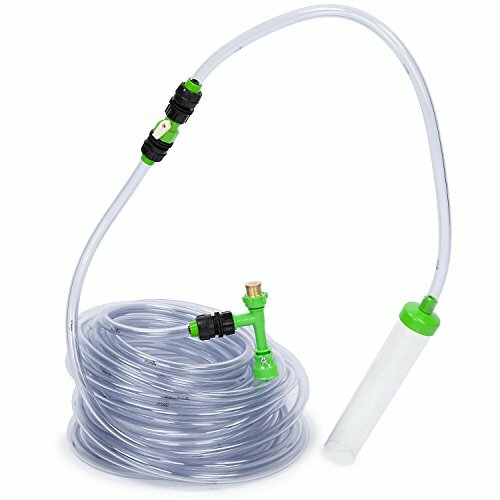 Cleans gravel and undergravel filters without removal during water change. Eliminates tank teardowns, buckets, and siphons forever. One end attaches to your faucet and the other goes into tank for effortless water changes and gravel cleaning. You’ll wonder how you ever lived without it. I have a 50 gallon fish tank. And I use buckets to siphon the water out and dump it in the backyard. I would usually drain the tank about halfway instead of 1/3 as recommended. After I brought this product it was really easy to set up and you can even connect it on your backyard water hose instead of the sink which allowed the water to drain in my grass in the backyard. 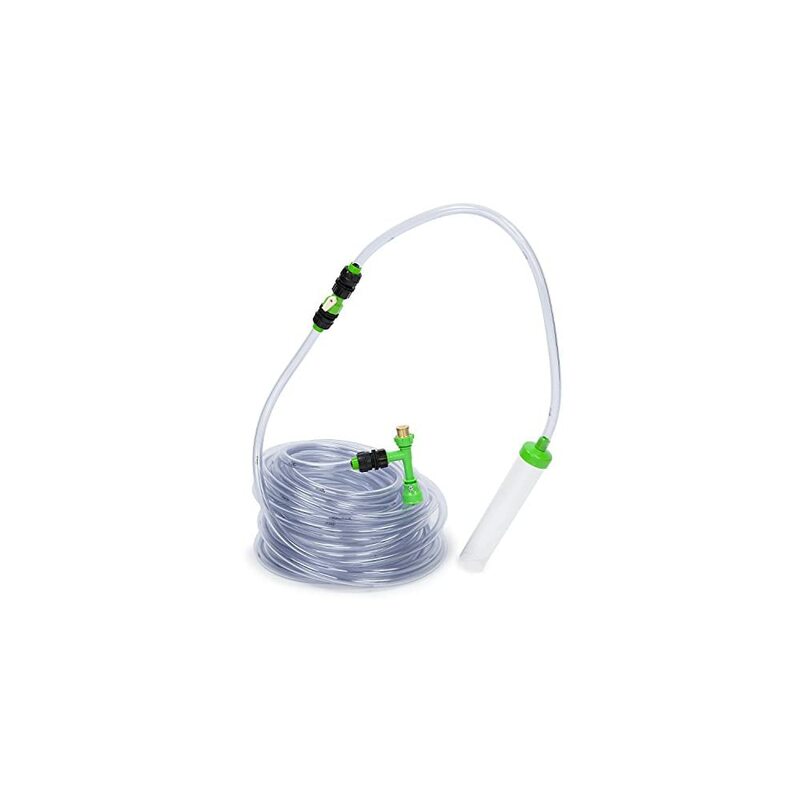 I ordered a long hose that way I can stretch it to the backyard and cut what I didn’t use or didn’t need to fit the length of my fish tank to the backyard. I like the fact that you can have the water siphoned out. And adjust the nozzle on the end and it will fill back up the tank without having to disconnect any parts. I wish I would have bought this years ago it’s real clean and does not cause water leaks. The only real work is unpacking and stretching out the hose and wrapping it up when you’re done. Very helpful tool great product brand dependable to. This brand is top notch and I have used Python siphons for years to maintain multiple 90 gallon aquariums. You do have to make sure to purchase the proper sink adapters so this will work automatically, but for those with large tanks (55 gallon+), this is a solid product. Is this supposed to be a hose?